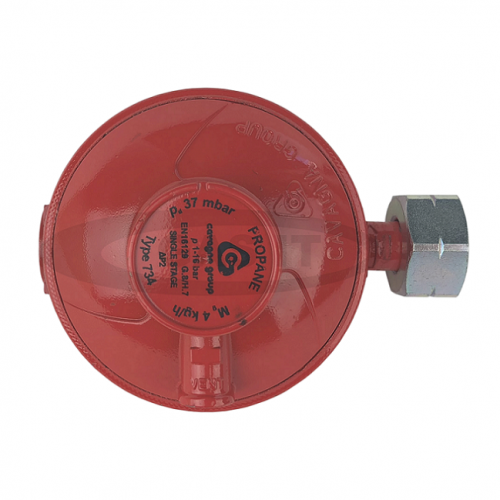 gas it, bottle, tank, regulator, 37mbr low pressure propane regulatorr - GAS IT Leisure Gas Bottles, Gas Cylincers and Gas Tanks - Catering, Motorhome, Campervan, Caravan, Farrier and Road Repair Refillable Gas Solutions. Outlet is 3/8 female. You can buy a simple adaptors for this regulator on this webshop that will convert the outlet of this regualtor to 8mm rubber, 8mm compression or 10mm compression.